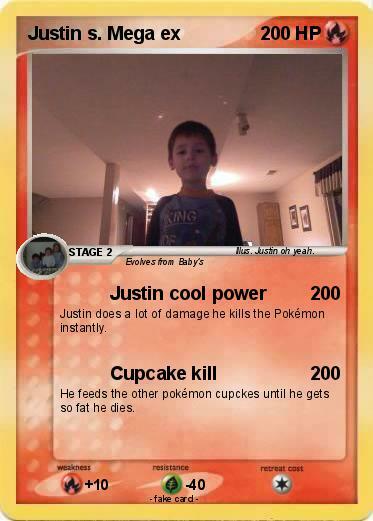 Justin does a lot of damage he kills the Pokémon instantly. He feeds the other pokémon cupckes until he gets so fat he dies. Illustrator : Justin oh yeah.